These vessels are a new twist on some of my tried and true forms. 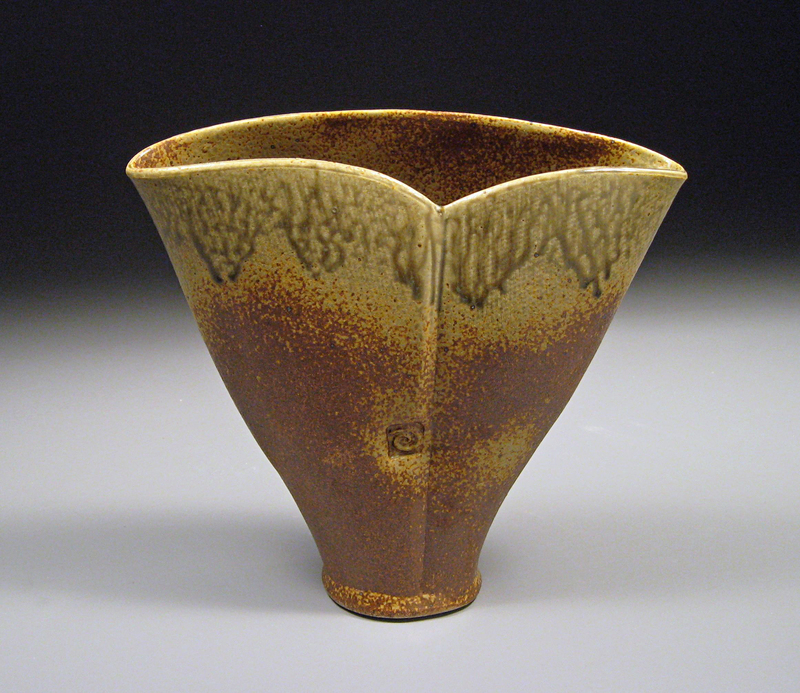 The bright orange glaze comes from a helmer shino that really makes the sage green glaze stand out. While I get more control than if I’d woodfired these, the shino is still very picky about the amount of reduction it gets when I’m firing these, so still more to learn with it. 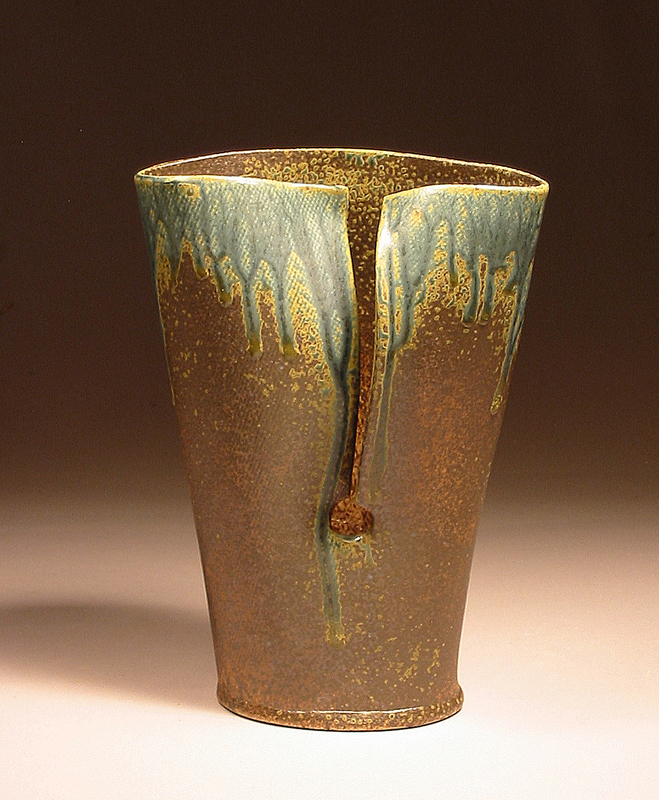 Another variation of one of my older forms, this “tulip vase” is minus the side spirals for a clean lined look. The top opening is narrow so just about any $4.99 grocery store bouquet dropped in and spread out will look nice in it. Floppy tulips reaching out over the sides look especially nice. 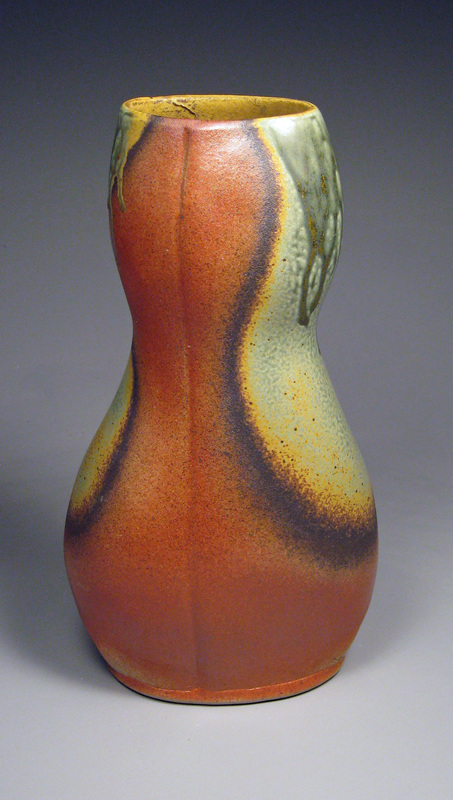 9″ tall – Similar pieces at my Etsy Shop NicePots. I’m sometimes asked what I use these basket forms for… Being the compulsive collector I am, around our place they hold small rocks, fortune cookie wishes, rubber bands, pencils and more. I even use one for gum wrappers and flotsam in my van. Wide base keeps it stabile. 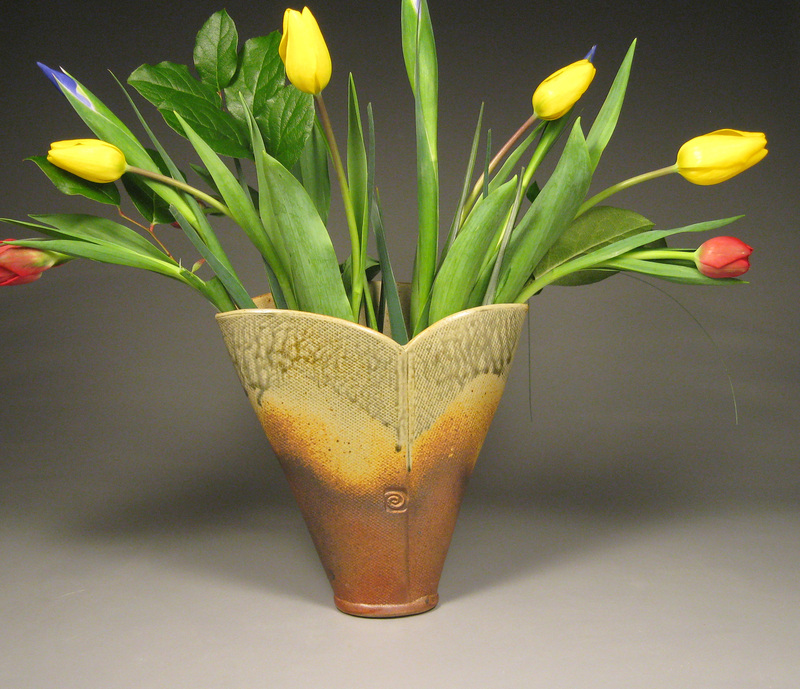 Add a 4″ pansy and voila, you have a hostess gift. Larger basket $45, smaller $35. 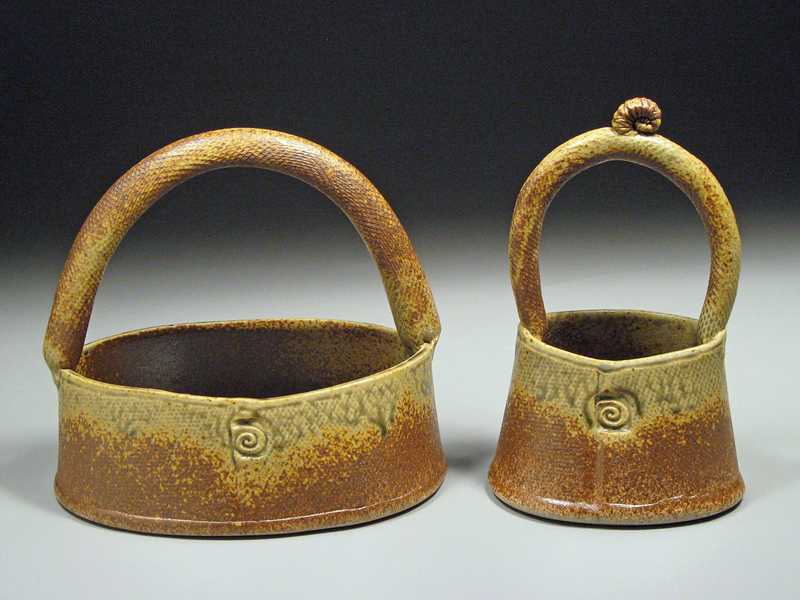 These two stoneware vases with top handles will help hold flowers in place when you use them for arrangements. 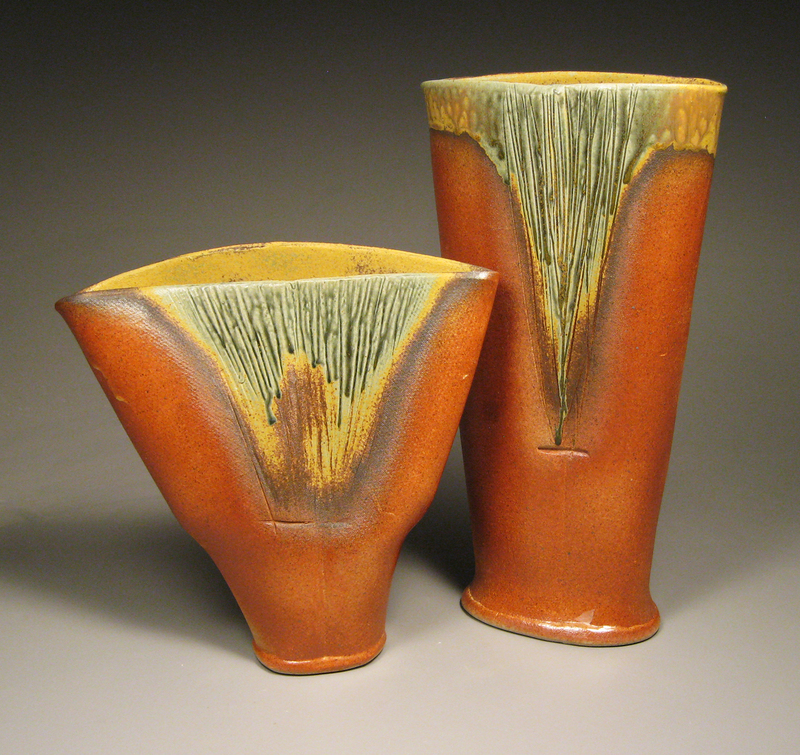 They are both in the dark brown glaze without the usual gold glaze drips. 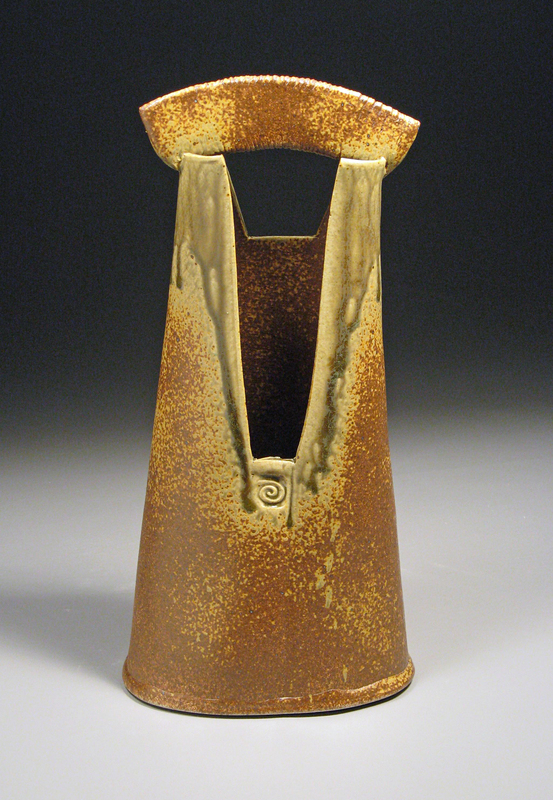 A client wanted one this way and they look rather stately. 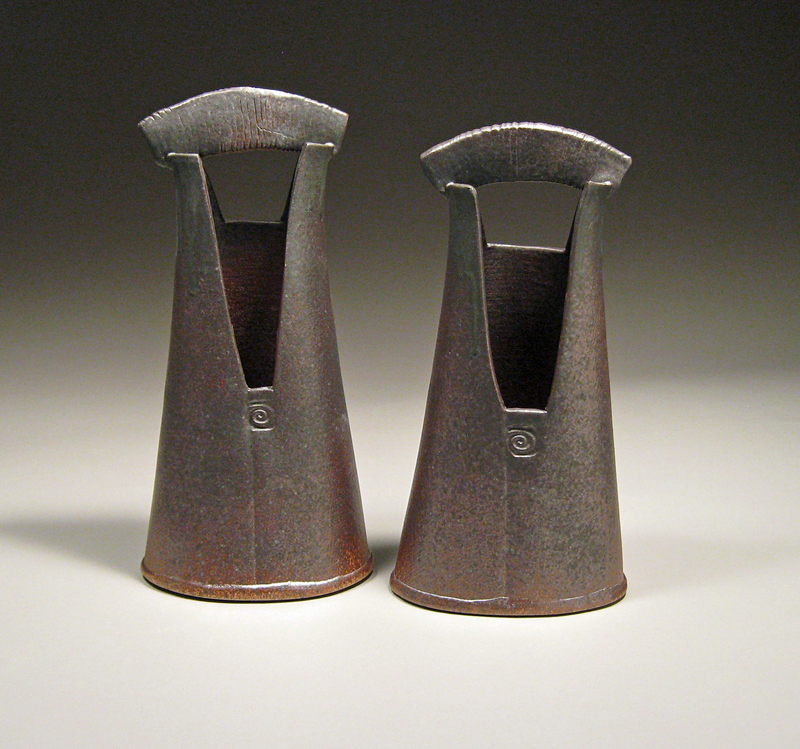 These are 11″ tall – $50 ea.